The era of the cloud is here. Thus, enterprise networks must be able to respond to the rapid changes in business and the needs of users and customers. 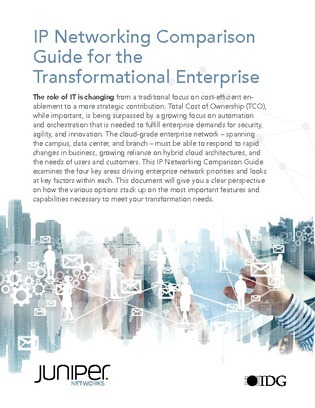 In fact, a recent survey by IDG Research Services found that 63% of network pros see the need for a united approach to enterprise networking as they continue evolving their network strategies in the cloud.